News Americas, LAUDERHILL, Fl, Mon. Aug. 6, 2018: The West Indies cricket team disappointed South Florida Caribbean cricket fans again Sunday night with a second straight loss that handed the Bangladesh Tigers the Twenty20 International series win. A slow batting performance led to the Windies losing again Sunday night, but this time by the Duckworth method after rain stopped the match. After Bangladesh won the toss and raced to 185 off their 20-overs in the series decider, the Windies took to the pitch and only managed to reach 135 for seven in the 18th over before the rains came and stopped the match. Bangladesh’s speedster, Mustafizur Rahman, was the thorn in the Windies side, bagging three for 31. Andre Russell was the top scorer with 47 while Rovman Powell added 23 and Denesh Ramdin, 21. Chadwick Walton added 19, the only other batsman to get to double digits. 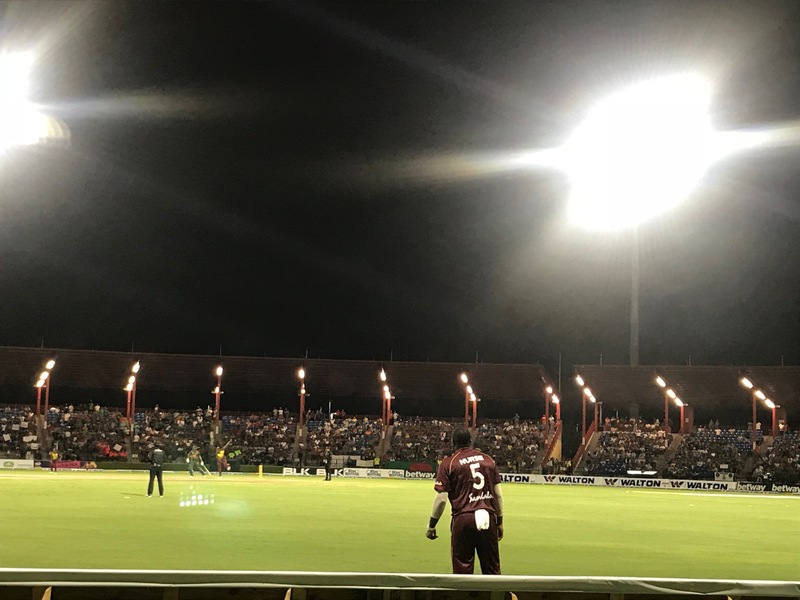 It was a stark let down of fans who were hopeful the Windies would have continued their winning streak, especially since they won the first T-20 in St. Kitts. But that was not to be this weekend, as last night’s 19 run loss came on the heels of the 12 run loss Saturday night. Did not bat: Islam, Rony, Hossain, Rahman. Bowling: Badree 3-0-23-0, Nurse 3-0-31-0, Russell 3-0-36-0 (w1), Brathwaite 4-0-32-2 (w3), Paul 3-0-26-2 (w1), Williams 4-0-32-1 (w1, nb1). Fall of wickets: 1-26, 2-30, 3-32, 4-77, 5-96, 6-128, 7-135. Did not bat: K Paul, K Williams, S Badree. Bowling: Abu Hider 3-0-27-1, Rubel Hossain 4-0-28-1, Mustafizur Rahman 3.1-0-31-3 (w1), Nazmul Islam 0.3-0-2-0, Soumya Sarkar 2.3-0-18-1, Shakib-al-Hasan 4-0-22-1. Series: Bangladesh won three-match series 2-1. The post West Indies Lose T20 Series Against Bangladesh In South Florida appeared first on Caribbean and Latin America Daily News.